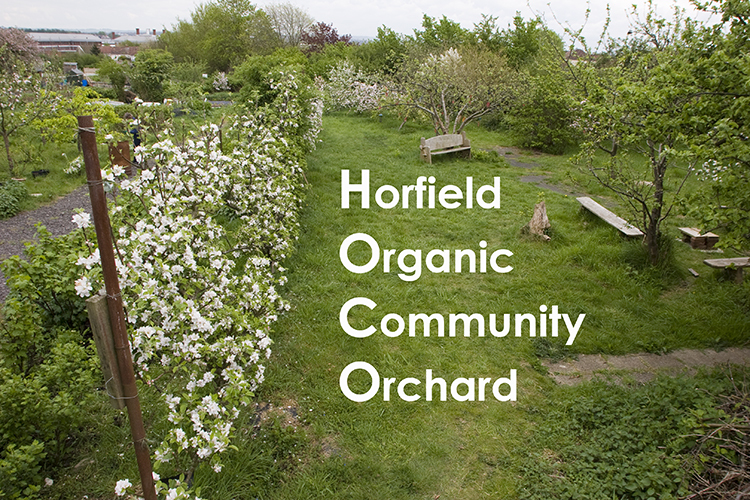 Membership of the orchard is open to anyone. Harvest-share members care for 100 fruiting trees, and enjoy a dividend of the harvest, learn specialist fruit-growing skills, and have the pleasure of working and socialising in a green oasis in a densely populated part of Bristol. We learn from each other, and encourage fruit growing as a way to grow community and wellbeing. Regular working meetings take place on the 2nd Saturday and the 4th Sunday of every month. Open to the public at our three annual orchard celebration events: Wassail (January), Summer Open Day (June), Apple Day (October). Walk down the lane beside 22 Kings Drive (between Bishop Road and Kellaway Avenue), turn left and it’s the first gate on the right.